How does the Income Protection Tax Deduction work? Income Protection premiums are tax deductible to individuals according to the Australian Taxation Office where the premium is an expense incurred to protect against the loss of income. You cannot, however, claim a personal tax deduction if you have income protection through a superannuation fund, including a SMSF. In this case it is the fund who owns the policy and pays the premium, not you. The fund will claim the premium as an expense and this will reduce the tax payable by the fund. You can also not claim a tax deduction for any part of the premium which relates to lump sum or capital payments, such as the Lump Sum TPD option. If you have an income protection policy your insurance company will send you a statement each year of the premiums you have paid which you can claim as a tax deduction. These statements are usually sent out within one to two months of the end of the financial year. If you do not receive a statement you should request one from your insurance company. 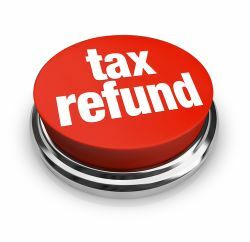 When you complete your tax return you can claim this income protection premium as a work tax deduction in the “Other deductions” category. If your taxable income is over $180,000 pa in 2017/18 your marginal tax rate will be 45% (excluding the Medicare Levy). For incomes between $87,000 and $180,000 your marginal tax rate will be 37% and the net cost would be $530 – a saving of 47%. These tax savings, along with Insurance Watch’s 20%* Reward offer, make income protection very affordable. Run your own quotes now. Please Note: the above is general advice only and you should seek advice from a tax professional on your own situation.